Back in May, Writivism announced on its social media pages that Jennifer Nansubuga Makumbi's Kintu had found a Western publisher - the Oakland-based indie publisher, Transit Books - and would be published in the US in 2017. 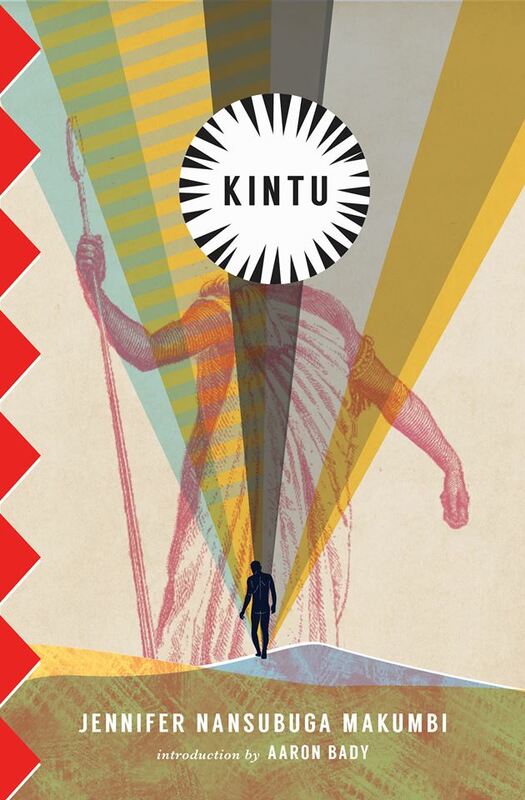 This was amazing and wonderful news because Kintu is one of those books that I had been told was fantastic, brilliant, a must-read - but ridiculously hard to get a hold of outside of East Africa. Winner of the 2013 Kwani? manuscript project, Kintu follows the stories of Kintu Kidda - Ppokino of Buddu Province, in the kingdom of Buganda - and his descendants over 2 centuries (and a bit) as they seek to break with the burden of their shared past. I finally got a copy while I was in Kampala for Writivism, and you know what, they weren't lying - the book is fantastic, brilliant, a must-read. I am 240 pages in to Kintu - about to start Part IV - and I have been savouring every word as I really do not want it to end. This is 'Kintu's' first outing in the West. I am delighted that the landscape, the immensity of the myth (looming over the characters and place) have been captured in the images colours and illusions. Hats off, Transit Books. Well, here's the cover!!!!! And let the countdown to the US edition and wider availability of this gem of a novel begin.